During the holiday season it’s common for business websites to crash as large numbers of users visit the sites to send gifts to their loved ones. Whether it be, Black Friday, Eid, Christmas, or Boxing day, businesses might potentially lose a lot of revenue if their infrastructure is not set up to handle a heavy load. Businesses can leverage the cloud to scale their applications with the IBM Auto Scaling service, and they can test their loads using the Load Impact service. Use the Auto Scaling service to scale your application. Use the Load Impact service to test your application. A provisioned Auto Scaling service on IBM Cloud. Completing this tutorial takes about one hour: 30 minutes for the prerequisites and another 30 minutes for the steps. Click Create connection and connect the Load Impact service that you provisioned. As soon as you connect, you see an option to restage your application. Click Restage so that the service becomes available for your web application. Navigate to the Auto Scaling service you recently attached to your web app. Select the option to view the policy configuration, and create an auto scaling policy. Note: Use the advanced steps to configure more complex auto scaling for Node.js and Swift. 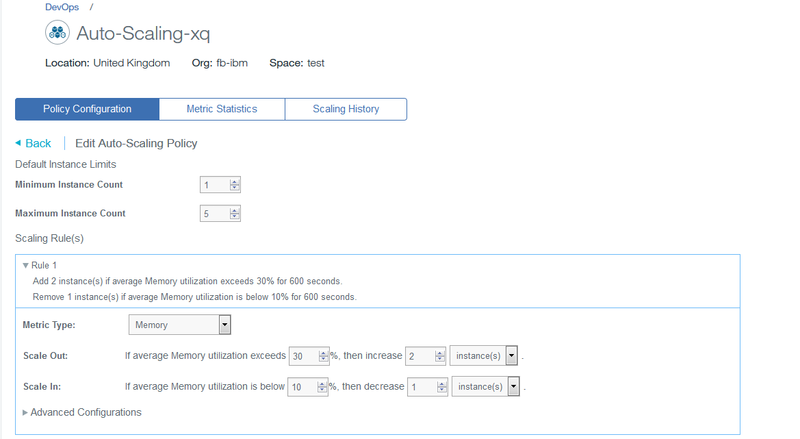 Different auto scaling policy configurations are available based on the metric selected. This example includes a policy configured for the memory to scale out when the upper threshold goes above 30 percent of the memory and to scale in when the lower threshold goes below 10 percent of the memory. You can add multiple rules, but make sure you do not add conflicting rules which might cause an issue. For example, if you know that your application is heavily used on Christmas Day, you can add a specific start and end date along with the number of instances you want your application to scale out to. Review the policy configurations, and make sure to enable the policy. 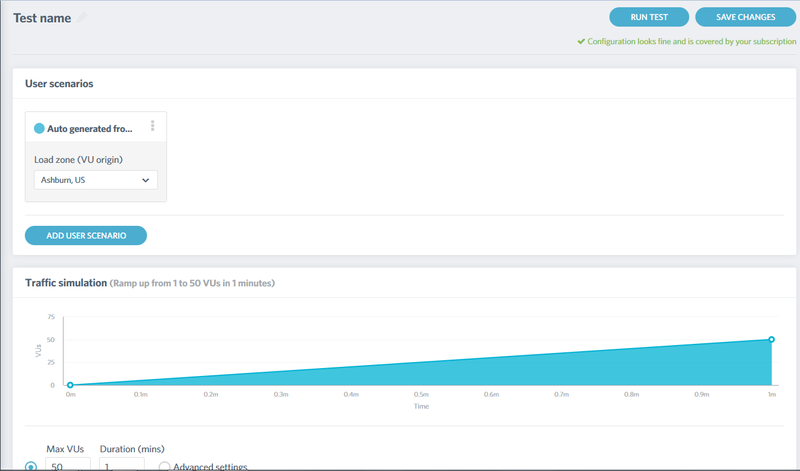 You can review the scaling history in the Auto Scaling service for the implications of the Load Impact service. 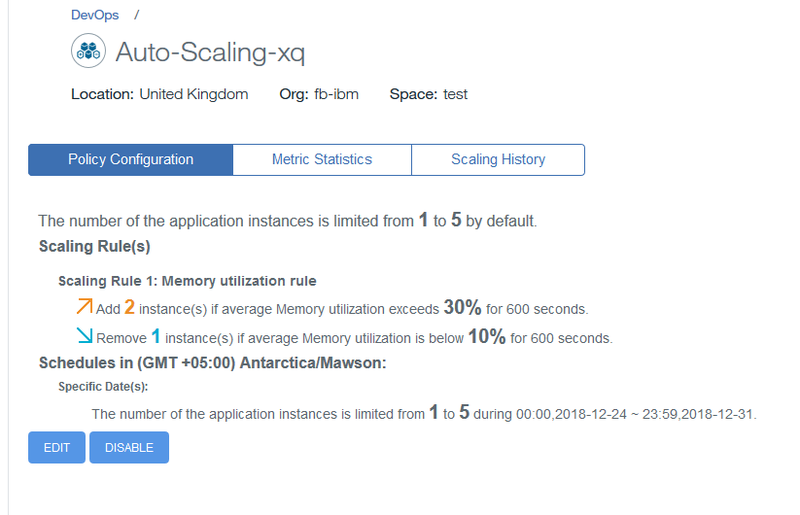 In this tutorial, you learned how to use the Auto Scaling and Load Impact services to scale your IBM Cloud application during a heavy load of visitors.